News and updates on Poverty and Human Rights. 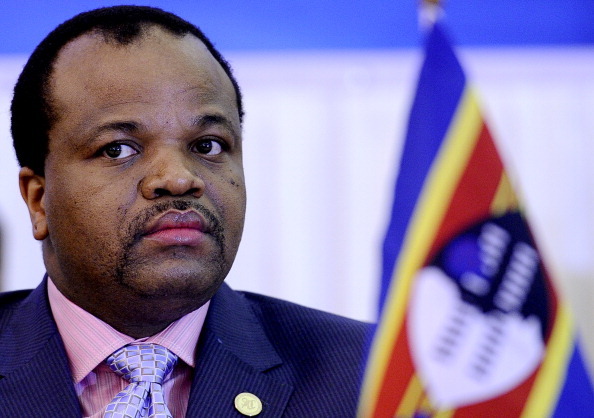 Swaziland’s King Mswati III is one of nearly 40 heads of state on the guest list for President Obama’s U.S.-Africa Leaders Summit (Photo Credit: Stephane de Sakutkin/AFP/Getty Images). Starting August 4, the Obama Administration will host a mini replica of an African Union (AU) summit. As many as 40 heads of state from the continent will be on hand for the U.S.-Africa Leaders Summit, a conference that will look at ways to boost trade and investment in the continent, tap into Africa’s burgeoning youth population, and promote good governance. The idea for such a summit is laudable, considering the critical issues that will be discussed – issues that will continue to be key challenges for both Africa and U.S. policy towards the continent and as part of addressing the chronic need to raise educate the public about the realities of the different countries that make up Africa, unknown success stories and it’s untapped economic potential. Unfortunately, unless a major change is made, the summit risks simply becoming an AU heads of state road trip with a photo-op at the end to confirm that they visited Washington before returning home. Relatives of a miner mourn beside his grave following the Soma mining disaster, on May 17, 2014 in Soma, Turkey (Photo Credit: Halit Onur Sandal/Getty Images). Last week’s mining disaster in Turkey represented more than simply an industrial accident, but raised very real human rights concerns. The government’s response in the last week, however, have only heightened these concerns. 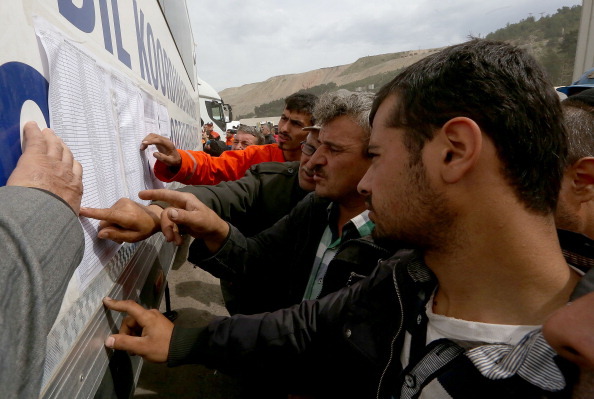 Relatives of the victims of the coal mine fire in Turkey check lists of the dead miners. An explosion and fire followed an electrical fault killed at least 232 miners and injured many others (Photo Credit: Cem Oksuz/Anadolu Agency/Getty Images). 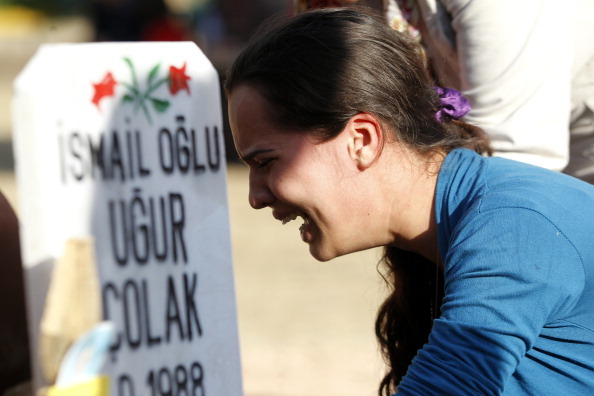 The mining disaster in Soma, a small town in Western Turkey, is, by any standards, a shocking tragedy. Amnesty International, in a statement issued today, makes clear, however, that this tragedy could have been averted. Although the total number killed is unlikely to be determined for some time, at least two hundred are confirmed dead already. One Year After Factory Disaster, What Have We Learned? The Rana Plaza catastrophe on the outskirts of the Bangladeshi capital Dhaka on April 24, 2013, that left 1,138 dead and more than 2,000 injured (Photo Credit: Munir Uz Zaman/AFP/Getty Images). 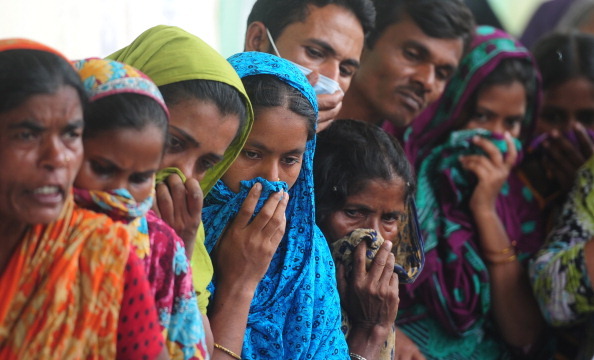 Today is the one-year anniversary of the collapse of the Rana Plaza garment factory building in Bangladesh, which left more than 1,100 workers dead and many more injured. The disaster has become the most shocking recent example of business-related human rights abuse, and the images of dead workers in the debris of the collapsed factory have become powerful symbols of the pursuit of profit at the expense of people. The Rana Plaza building housed numerous garment factories supplying international clothing companies. Over the past year, there have been various initiatives to provide compensation to the victims, involving government, global brands, and the International Labor Organization (ILO). However, these efforts have so far proved insufficient, and survivors continue to suffer and struggle to support themselves and their families. What Does Access to Water Have to Do with Sexual Health? 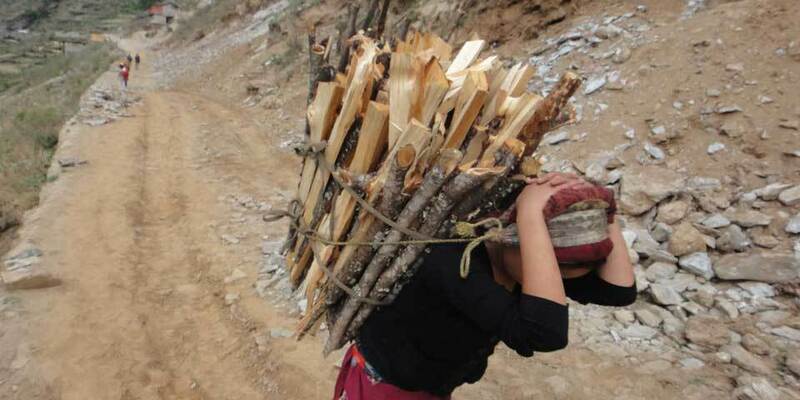 A woman carries wood in Mugu district, Nepal, May 2013 (Photo Credit: Amnesty International). What would you say if I told you that living without a source of drinking water near home is a major risk for sexual and reproductive health? Collecting water is nearly always a woman’s task. Estimates are that women spend around 40 billion hours a year walking for water. For nearly 800 million people, this is a reality. 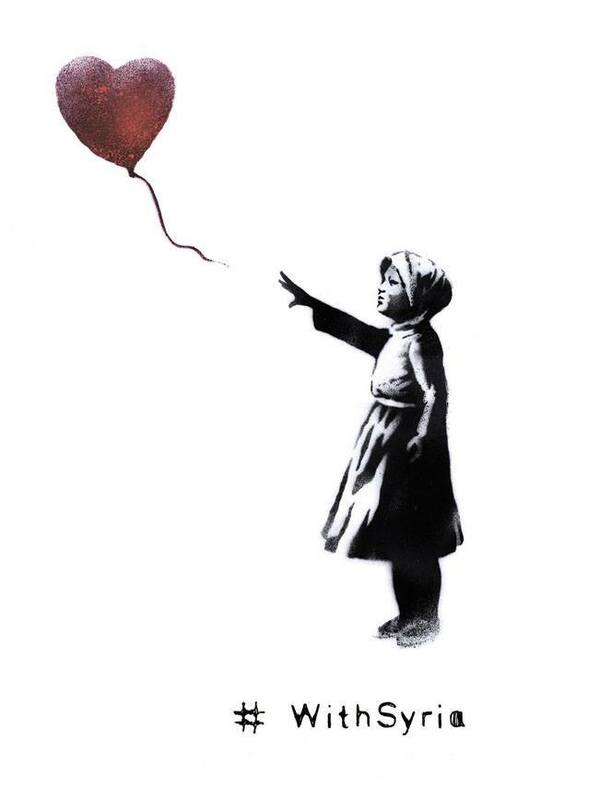 The Syrian uprising started three years ago this week, sparked by the image of some 300 school children in Deraa being dragged to one of Syria’s dark prisons for the “crime” of writing graffiti calling for freedom. The uprising hasn’t turned out as the people hoped. Three years later, starving people are braving government sniper fire to forage for leaves and berries to feed their families. 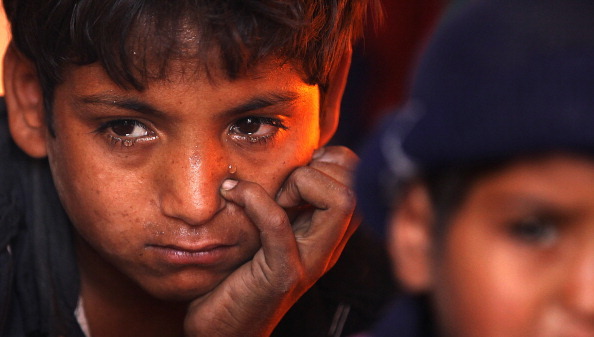 A new report from Amnesty International released Monday tells how an uprising that began with the detention of children has become one where starvation is being used as a weapon of war. 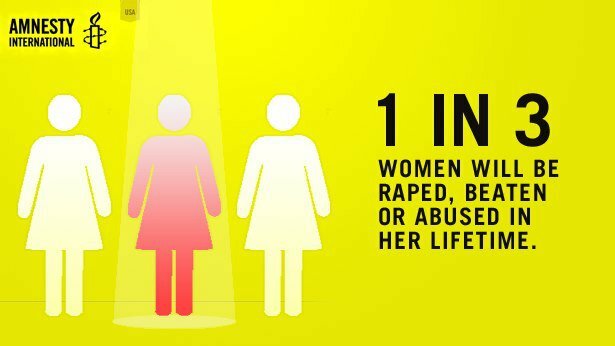 Celebrate International Women’s Day – Equality for Women Is Progress for All! Saturday, March 8 is International Women’s Day – a day marking global recognition of women’s rights. International Women’s Day (IWD) was first celebrated in 1911 in Austria, Denmark, Germany, and Switzerland as a day of demanding women’s rights to work, hold office, and vote. It wasn’t until 1975 that it was given official U.N. recognition. Every year, the U.N. designates a theme for the day. For 2014, the year’s theme is: Equality for Women is Progress for All. When Will Big Companies Really Take Responsibility for Industrial Disasters? On December 2nd, 1984, a Union Carbide plant in Bhopal, India, began leaking 27 tons of the deadly gas methyl isocyanate. Half a million people were exposed to the gas and 25,000 have died to date as a result of their exposure (Photo Credit: Giles Clarke/Getty Images). 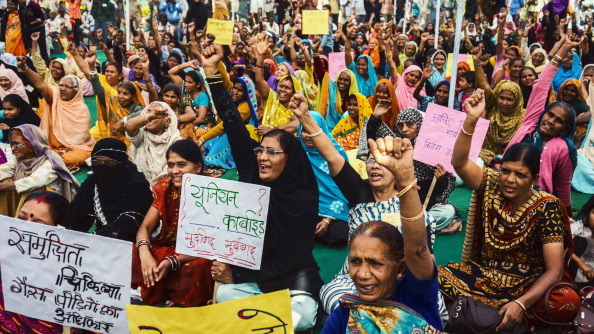 This week marked the 29th anniversary of one of the world’s worst-ever industrial disasters: the infamous gas leak from a Union Carbide plant in Bhopal, India that, on the night of December 2-3, 1984, killed thousands. Many more have been left to suffer since then, given the abject failure by both the Indian government and the companies involved to provide survivors and their families with an adequate remedy and justice.